Annual Bingo Cruise Lands In The Bahamas For The 29th Year. With the Royal Caribbean International’s Allure of the Seas, host of the World Championship Bingo Tournament, is ready to sail to The Bahamas for the 29th straight year. It will leave from Fort Lauderdale in the USA on Nov. 12 and will dock at Nassau, the largest gaming city in The Bahamas, on Nov. 13. The island nation has long enjoyed a rich culture of gaming. One of the first to be introduced was Italian lottery, which has been played since the 18th century. Despite having been established on the islands for over half a century, all forms of illegal gambling were originally prohibited in The Bahamas. The Lotteries and Gaming Act of 1969, as well as the 2014 Gaming Act, paved the way for The Bahamas to begin taking steps to be on par with the best practices in the international gaming scene, says HJ (Higgs and Johnson) Focus. Today, virtually all forms of gaming found in entertainment meccas are present in the nation as well. Among those that are played the most is Bingo. According to Special Event Cruises, up to 180 games of bingo will be offered during the course of the cruise. There will be a host of different variations too, with two of the most famous being 90-Ball and 75-Ball Bingo. 90-Ball Bingo is the traditional type played all over the world, while 75-Ball Bingo was mentioned by Foxy Bingo as being extremely popular in the USA. In addition to the classic forms, the cruise will also be introducing a new kind called, Turbo Bingo, which got its name due to its fast pace. Numbers are called in quick succession, thus requiring players to be on their toes throughout the course of the game. Each round of which is expected to run for 2 to 2.5 hours. Still, guests of the cruise can also play games other than Bingo, including Blackjack and slots, each of which will also have its own tournament. They will also have the option to play Roulette, Craps, and Lucky Ladies. Guests who wish to play more games upon reaching Nassau can also play at The Atlantis, Paradise Island Resort and Casino and Breezes Bahamas Resort. Of course, guests can experience other forms of enjoyment, too. The ship is home to 25 different dining options, including 150 Central Park. It offers a six-course seasonal menu prepared by James Beard Award-winning chef Michael Schwartz. They can also catch the Broadway musical Mamma Mia! or one of the ice skating or AquaTheater performances. 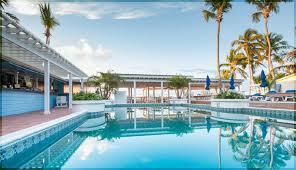 Moreover, attendants may relax by spending time at the spa, swimming in one of the pools, or going bar hopping. For those seeking an adrenaline rush, there’s also indoor rock climbing, zip line, and mini golf. According to Cruise Critic, cards on Bingo cruises are usually more expensive compared to land-based bingo games, but the rewards are usually higher as well. In the case of the Allure of the Seas, the prizes, both in cash and in-kind, are expected to go beyond US$100,000. A maximum of 250 guests will be a part of the cruise. The registration fee for the World Championship Bingo Tournament is already included in the package. However, discounts are available for those who want to join the cruise but will not be competing in the tournament. The rates are already inclusive of 24-hour in-room dining, flights to and from Fort Lauderdale, as well as a complimentary overnight stay in a hotel within the vicinity prior to boarding. Howie Knodt will be serving as the Master of Ceremonies for the 29th year. As for the rest of its route, the ship is also set to dock in San Juan in Puerto Rico on Nov. 15; and Philipsburg, an island located in St. Maarten, on Nov. 16. Its expected arrival back to Fort Lauderdale is on Nov. 19.